In the past 12 months alone, MaRLo has had a #1 beatport hit with "The Island", remixed Armin van Buuren and Ferry Corsten (for the second time), been a regular on the top end of the beatport charts, mixed the Ministry of Sound Trance Nation Australia compilation for the second year in a row, tours around Australia weekly, AND launched a radio show. Add some major gigs around the world to that already impressive list, including Asia's largest EDM festival "Massive 2011", and it is clear that there really is no stopping the busy Dutch born, Aussie resident as he makes his way to becoming one of the top players in the game! The MaRLo sound is a signature blend of hands in the air moments with tech infused beats, encompassing influences of Trance, Techno, Tech-House and a mish mash of various other chunky sounds. MaRLo is not one to be pigeon holed, and his DJ sets can only be described as the "MaRLo sound". MaRLo's studio trickery has seen him sign productions to trance super-labels such as Armada, Spinnin Records, Blackhole recordings, Flashover and many more. MaRLo's productions are always diverse, with no track sounding like the last, MaRLo has been able to gain a large and loyal fan base who are always ready to be surprised by his latest release. This diversity was recognised by world famous "Cirque du Soleil" when they asked him to produce and perform his own interpretation of their music at the massive Uitmarkt festival in Amsterdam. MaRLo's productions receive highly coveted respect and recognition, featuring on popular TV shows, reaching high rotation on FM radio stations and scoring Tune of the Month in "Mixmag", "DJ Mag" and "Tillate" for his track "MaRLo feat Kristen Marlo - Is it Real". MaRLo's latest single "The Island" was an instant hit and shot up to the #1 spot on the Beatport trance charts. The track received support from all the usual heavyweights and also featured an official video clip. Dj Mag have said it has a "crisp, bold production" and that Jano's "duskily appealing vocals" are "simple yet magnificent"
His remix of Ferry Corsten- Brainbox is a dance floor destroyer and was played by Ferry Corsten in every set for over a year. It was such a big hit that Ferry personally asked MaRLo to remix one of his biggest tunes to date "Punk" which peaked at #3 on the beatport charts. MaRLo tracks frequent the Beatport top 10 and are played by Armin van Buuren, Tiesto, Markus Schulz, Sander van Doorn, Ferry Corsten and many more. Four of MaRLo's productions were played across the ASOT 500 parties around the globe. As a DJ, MaRLo's sets echo the diversity of his releases and are heavily filled with his own productions. In 2011 he was voted Australia's #2 Trance DJ and #4 across all genres in the Inthemix top 50 DJ poll (#1 Overall DJ in his home state of Victoria/Melbourne), in 2010 MaRLo was also asked to mix the Ministry of Sound Trance Nation vol 2 CD, which included a 14 date tour of sold out events. It was such a success that Ministry of Sound asked MaRLo back in 2011 to mix Trance Nation vol 3 which also included a solid tour. 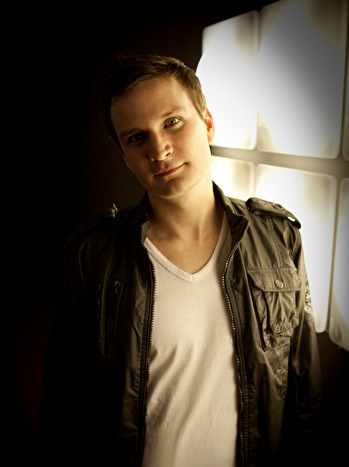 MaRLo was tipped by Trance International as a hot lister and one to watch for 2011. He has played to thousands of people across the world at events such as Sensation, Trance Energy (Holland and Australia), Uitmarkt Festival (Amsterdam), Massive 2011 (Malaysia), Stereosonic (Full Tour), Creamfields, Gatecrasher, Slinky, Godskitchen and many more. Some of the countries that have experienced MaRLo are: The Netherlands, Germany, Belgium, Indonesia, Malaysia, Singapore, and of course Australia. Not your typical trance producer, MaRLo brings something fresh to the world of electronic music. With his achievements to date, a solid list of upcoming releases, collaborations, international gigs, it looks like there are no signs of things slowing down for the energetic MaRLo. Poh gek, ik ga hier thuis nog helemaal los op jou set! !